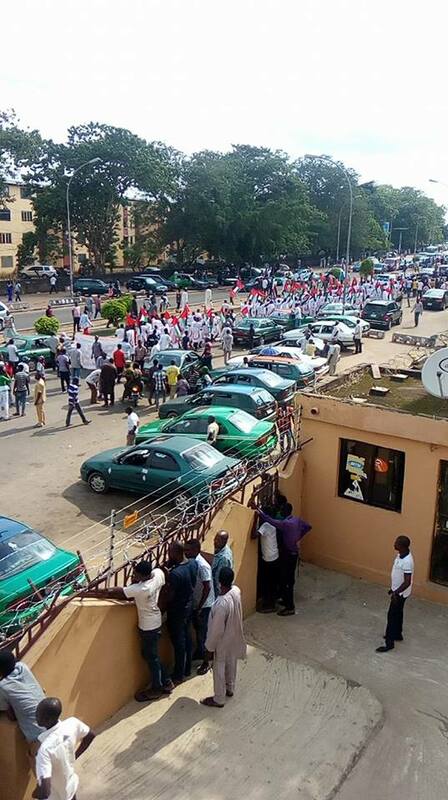 Nigerian Islamic community in solidarity with the Arabs and other Islamic countries all over the world, staged a massive protest in Abuja, the Federal Capital City of Nigeria yesterday being Saturday the 9th of June 2018, causing hours of heavy traffic gridlock to motorists and other road users. The protest was organized against Donald Trump, the US President's support and declaration of Jerusalem as the capital city of Israel. 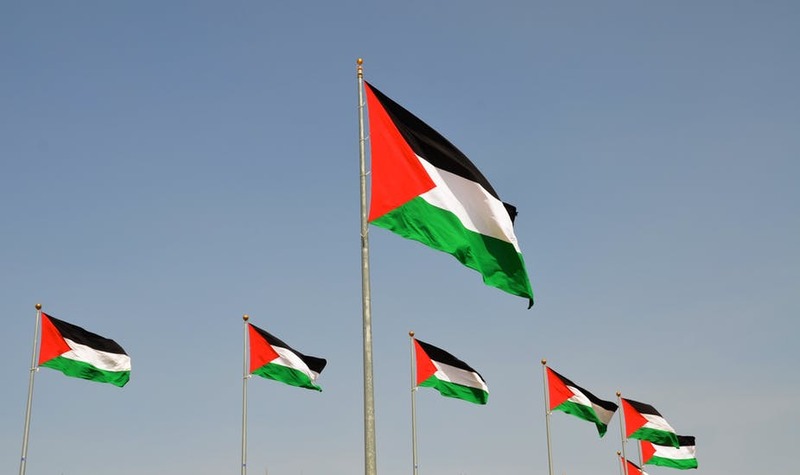 Palestinian flags were conspicuously displayed in the protest as a mark of solidarity. 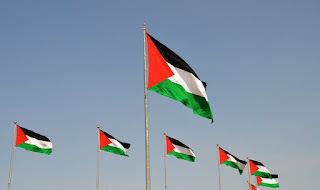 The flags of the United States of America and Israel were desecrated in blood and set ablaze in public glare, with deafening chants of "Free Palestinians!, Free our brothers!!". The massive protest commenced from the National Mosque and progressed to Wuse within Abuja metropolis. The Muslim protestors were accompanied by the Nigerian Police Force amongst other security operatives, in protection. None of the protesting Muslim youths, men and women suffered arrest, neither shot at with live bullets, maimed or incarcerated. 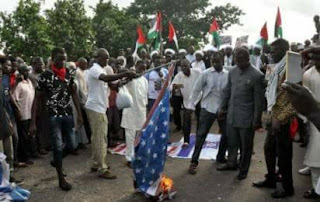 It could be recalled that on the 20th of January 2017, uncountable number of the youths, men and women of the Indigenous People of Biafra (IPOB) were arrested, tortured, maimed, killed and incarcerated, for peacefully rallying in solidarity with Mr. Donald Trump on his inauguration as the 45th President of the United States of America. 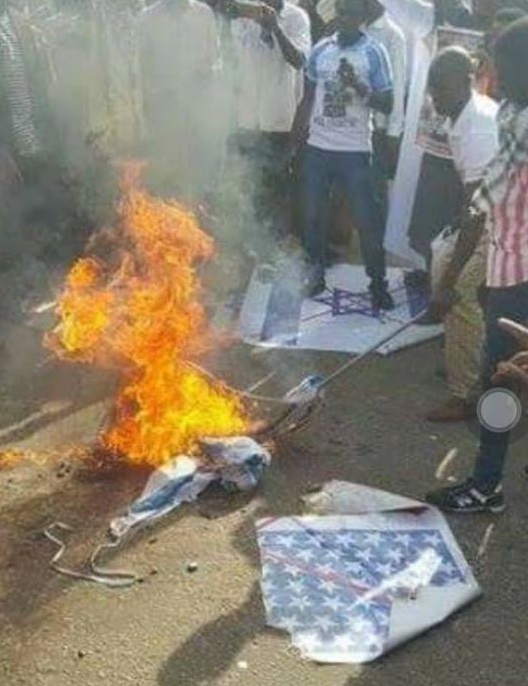 In that rally, hoisted US and Israeli flags were forcefully seized and burnt by the rampaging Nigerian army and police officers, on the orders of President Muhammadu Buhari. What does this tell of the country called Nigeria? 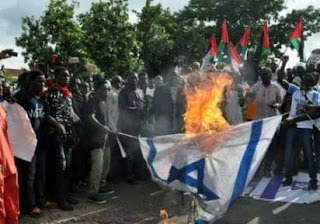 The Indigenous People of Biafra (IPOB) globally are not mistaken by resiliently and unambiguously, placing a demand for freedom and independence as the marginalization against Biafrans is indisputably obvious. The tyranny against the Biafran indigenous populace is increasingly becoming unbearable on every passing day. Nigeria is an Islamic country by every implication, where the Caliphate decides and rules. It remains an enclave where marginalization against non-muslims is institutionalised and strenuously implemented. This is one Nigeria for you - right. Biafrans were gunned downed when they asked for freedom and celebrated President’s Trump inauguration last year January in Igweocha. Biafran Jews were shot at and arrested while they worshipped at Umuahia last month. Here you see Muslims youths protesting, and destroying the flag of America and Israel and no one gets arrested. In fact, the Nigerian army and police were protecting them. I think the world is watching this. This is country you think you can survive as a Christian and Baiafran. What will it take for politicians, rulers, clergy and elders, etc. from the former Eastern region (Biafra land) to wake-up from their slumber and understand that we are living in an Islamic state. Just read the 1999 Constitution. I always thank God for Mazi Nnamdi kanu - God bless him where ever the zoo military/APC government has kept him. Biafrans must unite, speak with one tone and ask to be free from these murderous Muslims and Islamic State of Nigeria. A word is enough for the wise.